Despite the US Congress's lack of insight into Facebook's operations, Mark Zuckerberg's handling of the situation seems to have restored investor confidence in the company. Facebook's share price is 4.5% up from previous day's close, the bulk of the rise taking place during the platform's chief executive's testimony before the US Congress last night. "It certainly seems that the market thinks he handled it effectively," Paul Bainsfair, director general at the IPA commented. Nevertheless, Zuckerberg's testimony leaves questions unanswered that marketers and the industry need addressed. "I don’t think advertisers and agencies have a trust issue with Facebook," Bainsfair continued. "I think they have concerns on behalf of the public about improper use of personal data. As such, their shift from ‘move fast and break things’ to the more mature albeit less catchy ‘move fast with stable infrastructure’ should be welcomed," he said. However, the IPA is concerned about the role played by micro-targeted political advertising. While Facebook has taken steps to address this, the industry body believes there is a need for a wider approach to the problem. Another key question would be if Facebook can balance its stated lofty mission of facilitating positive relationships while still maintaining the data-rich, personalised environment, Toby Daniels, founder of Social Media Week pointed out. "Is it possible to achieve both aims, or will Facebook need to fundamentally rethink its business model?" 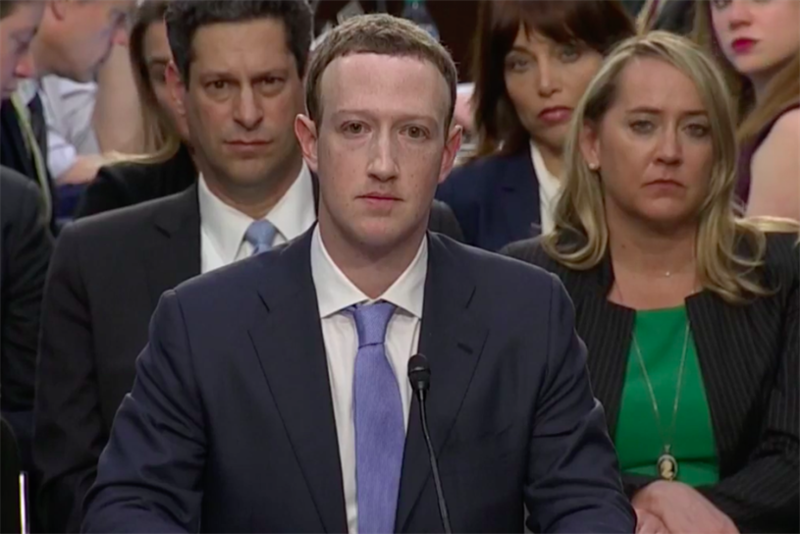 All in all, while Zuckerberg breezed through the testimony, the lack of insightful questions from congress was frustrating, Tim Wilson, chief executive and co-founder of discussion platform, Qutee. "There was no discussion about data democracy: how to elevate the debate, and how the public can overcome the fake news, trolls, and bots that haunt us all in our online lives," he said. "I’d really like to see Zuckerberg and his peers at the other social media giants called to account on whether social data/opinion is simply there to empower ad targeting or should be used for the wider benefit of society."